I love riding my bike to work, for errands, and to see friends. It gives me a different relationship with the city around me - I notice my neighbors' yards, wave at friends, and most importantly it's an opportunity to enjoy being outside every day. As Alta’s national Safe Routes to School (SRTS) service area leader, Hannah has spent her career bringing together diverse stakeholders and negotiating actionable SRTS strategies with communities across the country. She has led hundreds of school walk audits, leading to more than $6 million in funding for infrastructure and non-infrastructure activities. 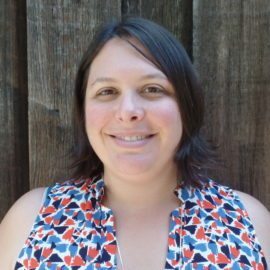 Hannah specializes in comprehensive evaluation strategies that help communities make data-driven decisions while incorporating families’ individual experiences and needs into program development. Kapell, H. and Dill, J. “Factors Affecting Walking and Bicycling to School: Urban form, parental attitudes and demographic factors” Transportation Research Board, 88th Annual Meeting, Washington, D.C., January 2009.